UEFA Euro 2016 is just around the corner which means I’ll be out of reach between the 10th of June to the 10th of July. Not really though – someone has to pay for all the meat on the barbecue and beer in the fridge. But I’ll watch every game I possibly can. Until now this tournament has never been problematic for me. I lived in England for many years and that’s always been my team. Through thick and thin. Come rain or shine. Granted, there’s been a lot more rain pouring down on the English national football team recently but I never lose hope. One day their time will come. In my wildest dreams would I never have thought that I would have to root for two teams in the UEFA Euro. England and Iceland. Against all odds the Icelandic national team got through to the cup this year – for the first time ever. It’s still sinking in. And for a nation that only counts three hundred or so thousand people it’s a massive victory just to get there. I’m even going to Lyon to watch Iceland’s first match against Portugal and I bet it’s going to be a surreal experience. 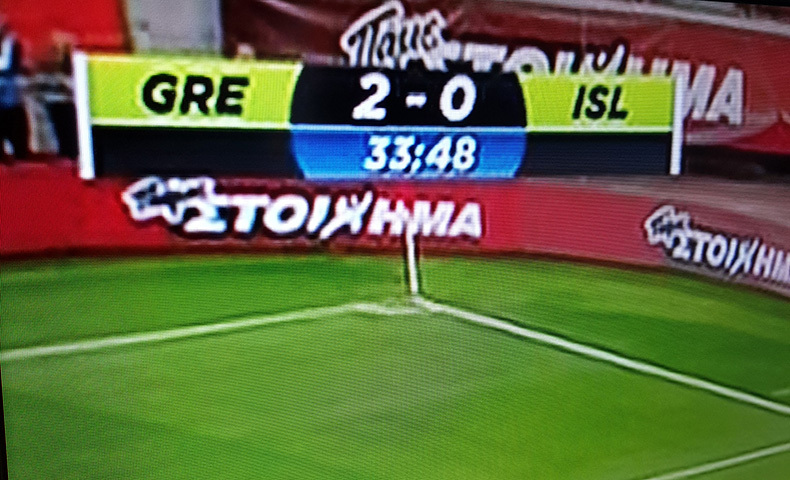 Even though the Icelanders have played massive teams before but never on this scale. Now I have a hypothetical, first world problem to tackle. What if England and Iceland go head to head in the game for the gold? Which team do I root for? Which shirt should I wear? Is it possible to root for two teams at the same time? For now I’ll just revel in the delight that I’m going to watch a lot of football this summer. And if my hypothetical problem becomes a reality I’ll just flip a coin and hope for goal after goal after goal.